For the last 100 years, sea levels around the globe have increased dramatically. The cause of sea level rise has been investigated and debated. Data from around the world supports the hypothesis that increasing sea levels are a result of climate change caused by the burning of fossil fuels. As we warm the Earth, the oceans get warmer and polar ice caps melt. The dramatic increase in sea level that results could seriously threaten ecosystems and the land that humans have developed along the coast. Salt marshes are plains of grass that grow along the east coast of the United States and many coasts worldwide. Salt marshes grow right at sea level and are therefore very sensitive to sea level rise. In Boston Harbor, Massachusetts, the NOAA (National Oceanic and Atmospheric Administration) Tide Gauge has measured a 21mm rise in sea level over the last 8 years. That means every year sea level has gone up an average of 2.6mm since 2008 – more than two and a half times faster than before we started burning fossil fuels! Because sea level is going up at such a fast rate, Robert, a scientist in Boston, became concerned for the local salt marsh habitats near his home. Robert was curious about what will happen to species that depend on Boston’s Plum Island Sound salt marshes when sea levels continue to rise. Robert preparing his team for a morning of salt marsh bird surveys. Robert decided to look at species that are very sensitive to changes in the salt marsh. When these sensitive species are present, they indicate the marsh is healthy. When these species are no longer found in the salt marsh, there might be something wrong. 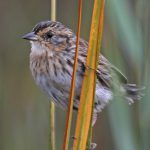 The Saltmarsh Sparrow is one of the few bird species that builds its nests in the salt marsh, and is totally dependent on this habitat. 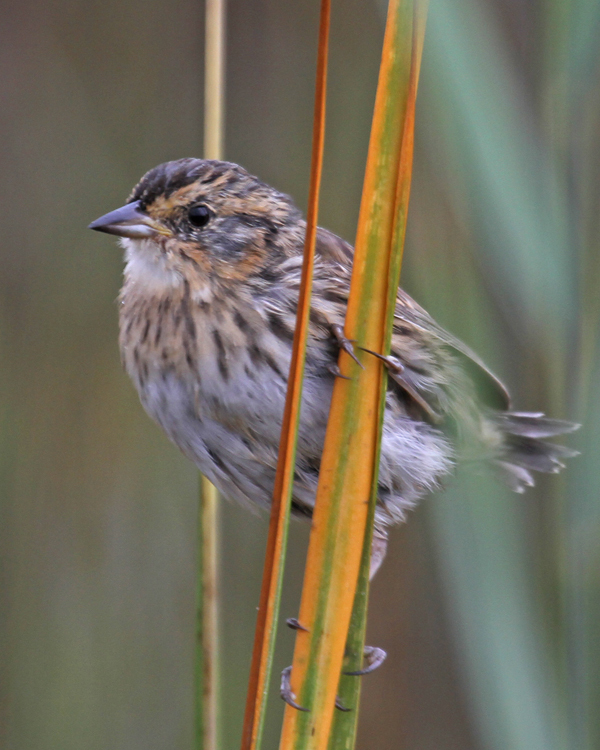 Saltmarsh Sparrows rely completely on salt marshes for feeding and nesting, and therefore their numbers are expected to decline as sea levels rise and they lose nesting sites. 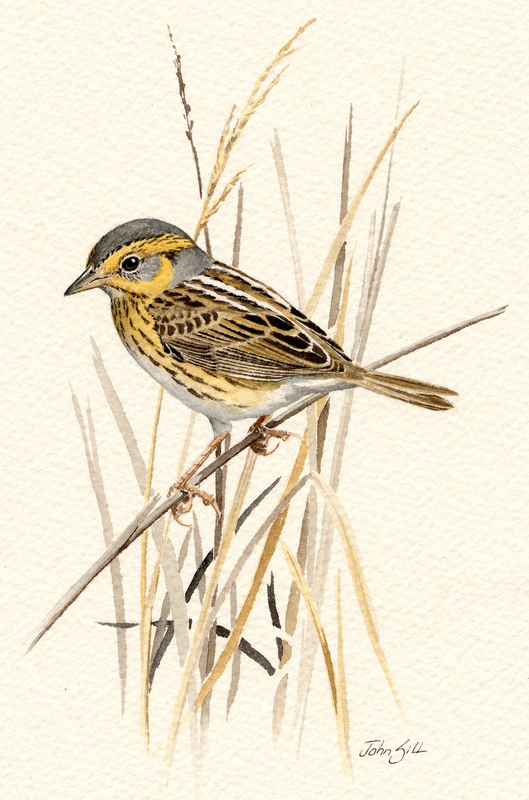 Robert heard that scientists studying Connecticut marshes reported the nests of these sparrows have been flooded in recent years. He wanted to know if the sparrows in Massachusetts were also losing their nests because of high sea levels. 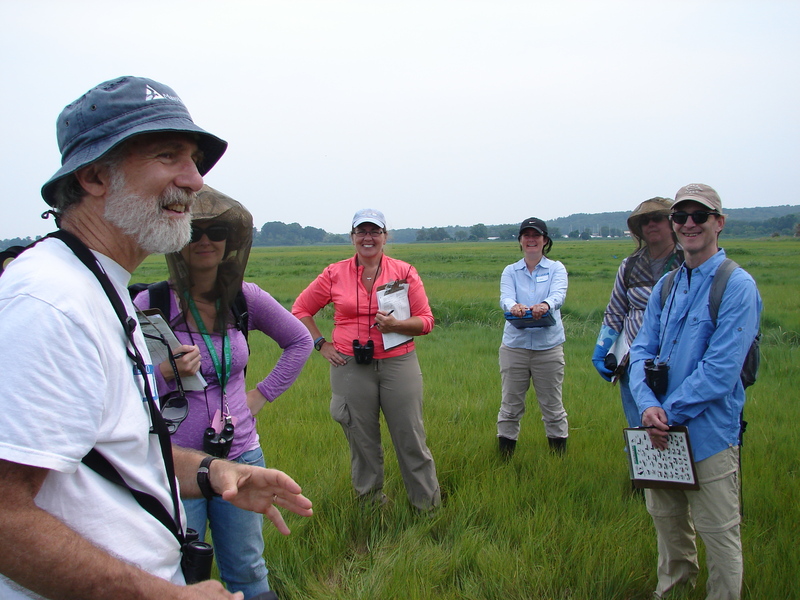 For the past two decades Robert has kept track of salt marsh breeding birds at Plum Island Sound. 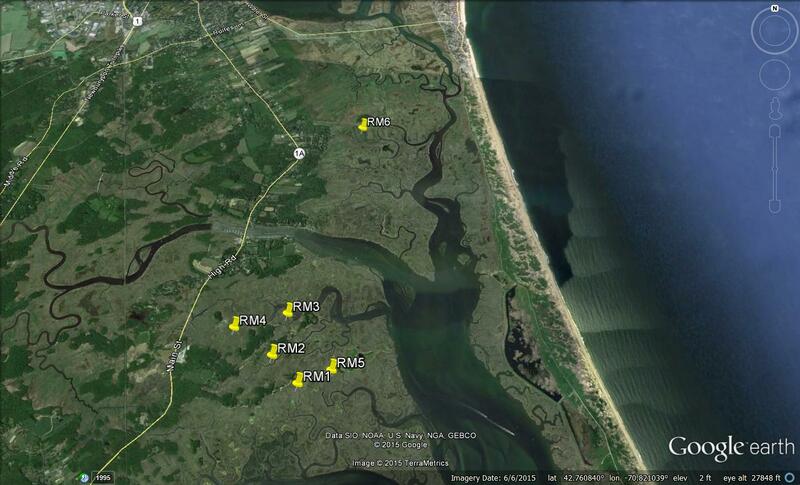 In his surveys since 2006, Robert counted the number of Saltmarsh Sparrows in a given area. He did these surveys in June when birds are most likely to be breeding. He used the “point count” method – standing at a center point he measured out a 100 meter circle around him. Then, for 10 minutes, he counted how many and what kinds of birds he saw or heard within and just outside the circle. Each year he set up six count circles and performed counts three times in June each year at each circle. Robert also used sea level data from Boston Harbor that he can relate to the data from his bird surveys. He predicted that sea levels would be rising in Plum Island Sound and Saltmarsh Sparrow populations would be falling over time. A PDF of the 2014 overview report on the Saltmarsh Habitat and Avian Research Program (SHARP) for the east coast marshes from Maine down to Maryland, which includes Massachusetts. The report may be helpful for students as they come up with other research questions. A blog by SHARP, covering a wide diversity of salt marsh research! Data from the Plum Island Sound LTER project. Data from NOAA tide gauges in Boston Harbor. This data expands on that found in Table 1. 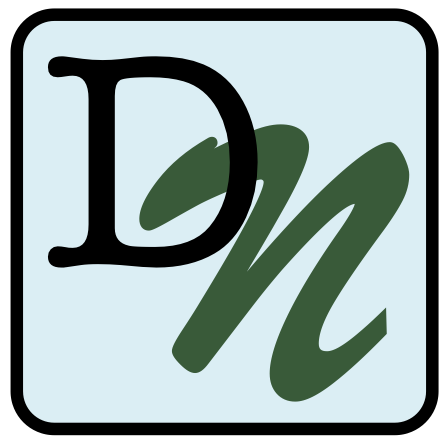 Students can explore a longer-term dataset for Boston Harbor, or can explore other areas for independent research.